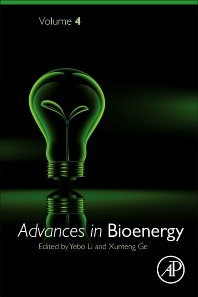 Advances in Bioenergy, Volume Four, is part of a new series that provides both principles and recent developments in various kinds of bioenergy technologies, including feedstock development, conversion technologies, energy and economics, and environmental analysis. Chapters in this new release include Bio-polycarbonate, Advances of gasification for biomass, Cellulase for bioenergy, Butanol production by Clostridium, Bioethanol, an old and new story, and more. The series uniquely provides the fundamentals of these technologies, along with reviews that will be invaluable for students.